Cracovia Dental offers painless and high quality dental care, for the entire family. 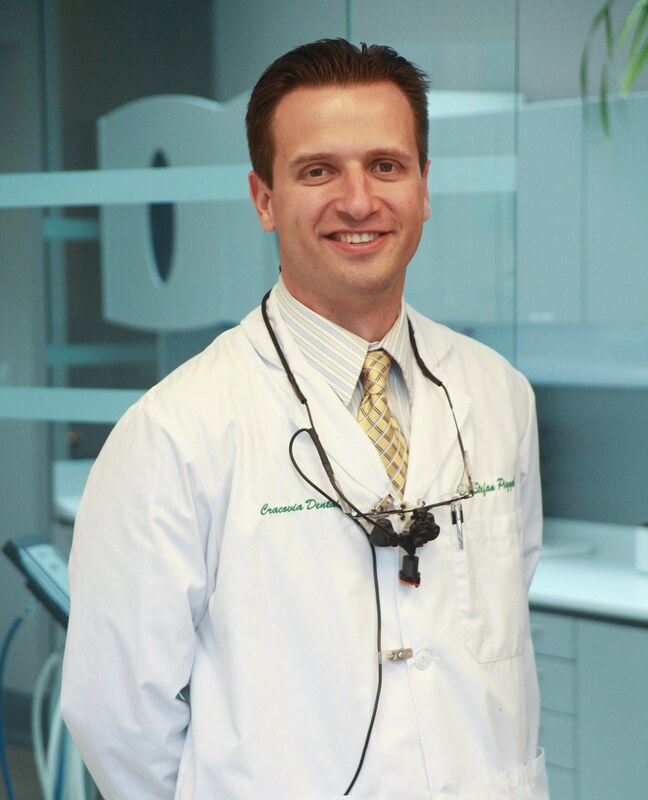 Practicing since 2007, Dr. Stefan Piszczek obtained his Doctorate of Dental Surgery degree from the world’s first formal dental school, the Baltimore College of Dental Surgery (est. 1840) at the University of Maryland. Dr. Stefan is dedicated to providing gentle and painless comprehensive dental care to patients as young as 3 years old. He is board certified in Canada and the United States, and is a 2012 Preferred Provider for Invisalign orthodontics. 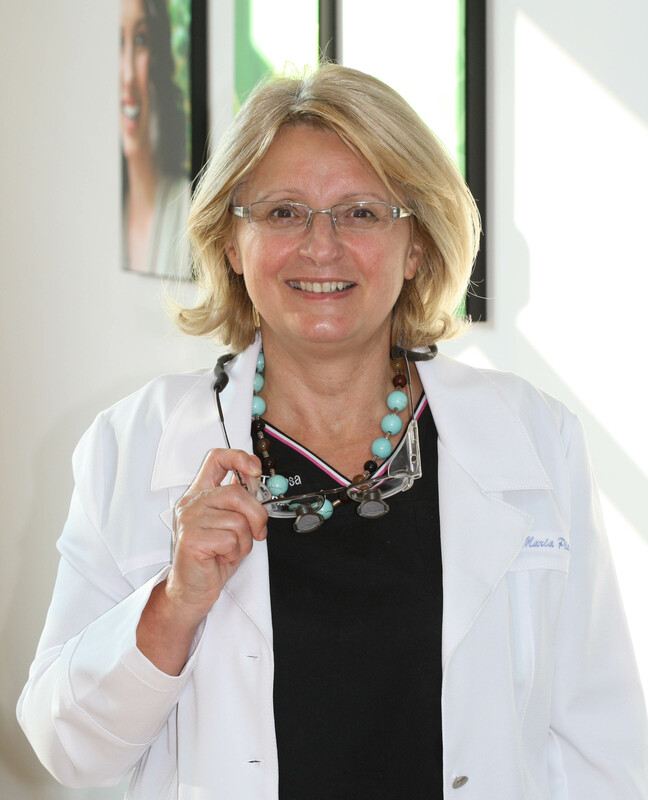 Dr. Maria Teresa Piszczek has been member of the Royal College of Dental Surgeons of Ontario since 1992, and has been running her practice in Mississauga for the past nineteen years. Dr. Maria has a passion for all aspects of dentistry, from root canal therapy to full mouth rehabilitation. She is dedicated to practicing with the newest dental technologies and materials available. She regularly participates in seminars and continuing education to ensure her patients’ dental needs are best served. A great smile begins with regular maintenance and dental checkups. Our preventive dental services include a full mouth examination, digital x-rays, cleaning & polishing, preventive fillings, and comprehensive patient education. We use only the highest-quality materials to maintain or restore your beautiful smile, from simple BPA-free white fillings to full mouth rehabilitation. We offer you whiter, straighter teeth with cosmetic dental services like whitening, minimal preparation porcelain veneers, Invisalign, or crown lengthening. At Cracovia Dental, we present all your available options, and together with you we will decide on the best treatment. It may be dental implants, a cemented bridge, a removable full or partial dentures, or any combination of these options. If required, you can trust Cracovia Dental to offer surgical treatments such as extractions, socket preservation, simple bone augmentations, and dental implant surgery. To ensure you have a relaxing experience, we offer conscious sedation with nitrous oxide, or oral sedatives for an even more relaxed state.